Weekend Obsession: Zara Shahjahan Eid Collection 2014! For some Eid is a more formal occasion than for others. 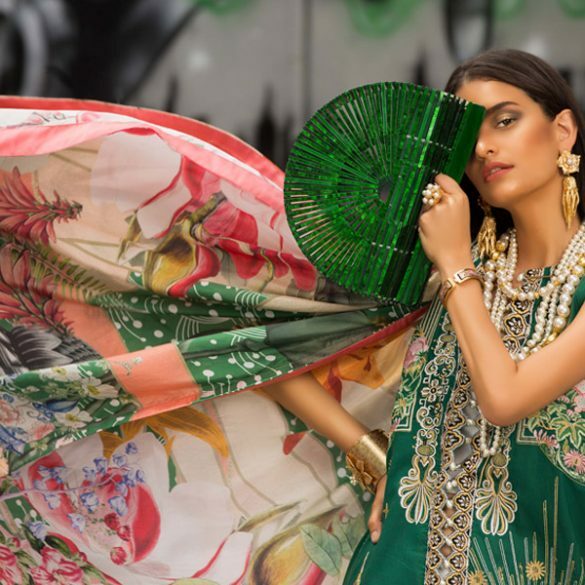 Keeping in mind the varying levels of formality required by audiences, Zara Shahjahan reveals a dual concept collection for Eid offering luxuriant embellished lace net formals on one end and embroidered cottons at the other. The luxury pret is extremely delicate and moulded to a soft color palette with white, cream, dust gold and pale pink as the prominent shades. Nets and lace with in house embroideries to punctuate the fabric gives the plain surface a multi-dimensional look. Subtle embellishments feature exquisite french knots, sequins and stones. The digital printed cottons are inspired by Ikat patterns paired with ethnic details and embroideries as well as Aztec prints styled with accent florals for a timeless feel. All silhouettes are clean and modern with lovely detailed jackets adorning some of the chic formals. View the collection shoot that is now retailing at Zara Shahjahan outlets in Lahore and L’atelier in Islamabad. Meanwhile we are still anxiously waiting from Zara’s designs to make their way to Karachi! Trend Alert: Stone of the Month, Sherezad's Ruby Delights! Shutterbug: Behind the Scenes at Maheen Karim Eid & Evening Wear Shoot!